Toby Perkins MP has pledged to support Prostate Cancer UK in its drive to eradicate the injustices faced by men with and at risk of prostate cancer in Chesterfield. 98 per 100,000 men in Derbyshire are diagnosed with prostate cancer every year and 25 of these die from the disease. However, despite being the most common cancer in men, those affected by or at risk of the disease continue to face a number of injustices, particularly when it comes to awareness of risk and access to treatments, information and support. Prostate Cancer UK has launched a report outlining five key injustices faced by men with or at risk of prostate cancer. The charity is calling on the government to take prostate cancer seriously by tackling the inequalities around awareness, age and ethnicity, and ensuring that all men gain access to the best possible treatments and information, regardless of where they live. The report – ‘Men United v Prostate Cancer, Five inequalities, five solutions’ – comes as part of the second wave of the charity’s Men United campaign which has built an urgency around prostate cancer and has seen nearly 200,000 people sign up to join the fight against the disease since January 2014. Dr Sarah Cant, Director of Policy and Strategy at Prostate Cancer UK, said; “For too long men with or at risk of prostate cancer have been dealt a series of unjust deals. Four in five men at higher risk of the disease don’t know it – meaning that they could miss out on being diagnosed at an early stage when the disease is most treatable. And for those men living with prostate cancer, the quality of care that they receive is still all too often dictated by their post code. Throw into the mix further inequalities surrounding access to treatments and information, and it’s clear that men with prostate cancer are not getting all the support that they vitally need. On 10 June 2014, Toby Perkins gave a speech to The Entrepreneur’s Network policy think tank on the subject of “What Small Businesses Can Expect from a Labour Government”. You can read this below. Many thanks for that introduction Philip. I would just like to say that it is a privilege not only to be invited here today, but also to have been invited to become an Ambassador for the Entrepeneurs Network. I’m sure TEN is going to go from strength to strength and I look forward to being a part of that journey. I am particularly excited about this journey because in many ways I still think of myself as more of a businessman than a politician. Before 2010 I could even have been described as a human being. One of the reasons I was so delighted to be appointed as Ed’s Shadow Small Business Minister is because I have lived many of the problems I am now tasked with finding solutions for. In his first ever conference speech as leader in 2010, Ed Miliband expressed his determination to; “make Labour the party of enterprise and small business” and he has energetically pursued this goal ever since. In 2011, Labour became the first party to set up an entrepreneurs’ network – the NG, or “Next Generation” network – to showcase the best of British talent and help aspiring business people hear from some of our most inspirational business leaders. Cutting edge events have involved Dragons Den Piers Linney, Samir Desai founder of Funding Circle, MOBOs founder Kayna King at a women in entrepreneurship event at Wayra hub, and a Google hangout linking entrepreneurs across tech centres in Tel Aviv, Tech City and Lagos. Its free to get involved and if any of you would like to join and come to future events please do give me your cards after lunch. In 2012 Labour launched a scheme to encourage more people with a small business background to stand for Labour at election time. This has now borne fruit with entrepreneurs standing for Labour in key marginals such as Reading West, Bury North and Stafford. In 2013 Labour’s Small Business Taskforce, comprised of successful entrepreneurs, business representatives and academics produced their list of final recommendations to the Party. Labour has committed to following many of these, including taking steps to help small starts ups more easily access quick broadband connections. The next Labour government is determined not to sit on the sidelines but to take an active role on the side of entrepreneurs and create an environment where small firms can survive and thrive. To achieve this we have a clear plan to support entrepreneurs in the big challenges they face. An area where a Labour government would make a real difference is in access to finance. Many of you will have read my article in The Entrepreneur’s Network’s launch manifesto about how government can take a leading role to support small businesses in accessing finance. So this seems an appropriate area to start on today. Entrepreneurs who want to start out, or to grow their small business consistently tell me that their biggest barrier is the reluctance of banks to lend. Figures published in the last week showed that in the first quarter of this year net lending to SMEs by Funding for Lending participants actually fell by £700 million. And in the last year net lending to SMEs has fallen by £3.2 billion. Outside of banking, new start ups are also held back from receiving finance by late-payments from the larger organisations they supply to. Late payment is a clear example of what Chuka Umunna, my boss … and the Shadow Secretary for Business, has identified as “blue tape” where small businesses are held back by more established larger companies. A quarter of company bankruptcies are estimated to be the result of late payments. Businesses need a strong government willing to take action on their behalf. The last Labour government created an interest rate penalty for large firms who delayed payment to their small suppliers. The next Labour government will further tackle this issue and ensure government sets the best example, by making it mandatory for all government bodies to publish their record on this. We obviously welcome the government’s commitment to take action on this issue as announced in last week’s Queen’s Speech, however we share the concerns of the FSB and others that these steps will not go far enough and will seek to strengthen them in Committee. The cost-of-living crisis has also spread to entrepreneurs and Labour is determined to address this. The £1,500 rise in business rates since 2010 has hurt entrepeneurs. Labour would not bring forward the planned one per cent Corporation Tax cut for 80,000 large firms and use the money to instead cut the business rate bills of 1.5 million small firms. Likewise, when one in every seven pounds of GDP is spent by the state, Labour understands that procurement is the biggest lever we can pull to help entrepreneurs branch out into new markets. Unfortunately, the current Whitehall machinery is not set up to understand and respond to the need of British small businesses. Currently, none of the fifteen civil servants reporting directly to the BIS permanent secretary is responsible for small businesses and the amount of procurement spend which goes to small businesses is not precisely monitored. By contrast, the head of the US Small Business Administration – a team at the heart of the US government that promotes the interests of small businesses across government – reports directly to the President and 45% of US Federal procurement spend goes to US small businesses. To catch up with our competitors and to ensure that the next Labour government is the best customer it can be we will establish our own Small Business Administration at the heart of government, something organisations like the Federation of Small Businesses have long campaigned for. All these measures support those who have already started out, but it is also a crucial task for government to create an environment where an entrepreneurial career path is accessible and normal. Previous efforts to improve social mobility have perhaps overly focused on the professions, when entrepreneurialism can also be a great path to prosperity. This is why Labour’s Waltham Forest Council is pioneering a scheme which places an entrepreneur or business owner on the board of governors at each local school to ensure that pupils are exposed to this exciting career path early in life. Similarly, Labour’s plans to give parents of primary school children guaranteed access to childcare from 8am-6pm will help people from all backgrounds to find the space to pursue entrepreneurial projects. Chesterfield MP Toby Perkins visited Hady Lane Primary School today to assess the on-going problem of flooding on the path that leads to the school. Toby was first made aware of the seriousness of the situation during his weekly constituency surgery by Mrs Rebecca Fenby, a parent who has worked very hard to get the Council to address the flooding. Since then Toby has been attempting to coordinate discussions between council departments, parents and the school to ensure a solution is found. The school’s preferred option involves a new path not at risk of flooding, which has been costed by Derbyshire County Council and is being considered by the cash-strapped council. MP Toby Perkins visited the Chesterfield Birth Centre to congratulate staff on an unprecedented 50 out of 50 score on a national “safety check” assessment, which confirmed the unit’s place as one of the safest in the region, and to see the brand new computer system which is helping the ward stride ever onwards in terms of efficiency and high standards. Matron of the Birth Centre Julie Clark said “We are very proud to have come this far and have such a high quality of care and a reputation for being one of the best birth units in the area. All the staff work so hard to keep our standards high, and this score recognises their achievement. New figures, released to local MP Toby Perkins, by the National House Building Council (NHBC), reveal that new house building in Chesterfield has fallen to just one third of the national average. This far behind the figures needed to keep up with projected demand and marks the 5th quarter of decline in a row. NHBC is the official supplier of housing statistics to DCLG and the only source of data which breaks down housing numbers to a constituency level. “Once again the Tory-led government’s policies are having a real impact on people in Chesterfield. Under David Cameron the number of homes built has fallen to the lowest level in peacetime since the 1920s. “This demonstrates even further the need to press of with developments at Waterside and Donkins, as a shortage of new build is bad for those looking for a home and the economy. 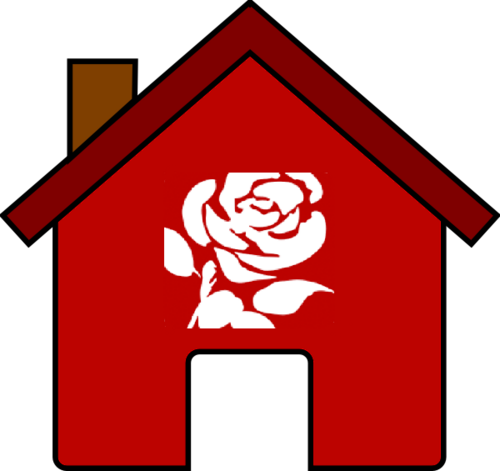 Perkins also expressed his dismay that the Tory-led Government voted against Labour’s amendment to ban unfair letting agent fees last month which will dismay ‘Generation Rent’ – the nine million people in this country including 1.3 million families who live in rented accommodation for whom housing is already insecure, uncertain and a strain on family finance. “Labour is standing up for private renters who are being hit hard by David Cameron’s cost-of-living crisis and we will continue to push for letting agent fees on tenants to be banned. Posted on 03 June 2014. “Labour has led calls for a statutory code to give local pubs the protection they need and to ensure landlords get a fair deal. Any action to help pubs is welcome, particularly after ministers have dragged their feet for more than three years during which time hundreds of publicans have lost their livelihoods. “The changes ministers have announced today do not include a free-of-tie option or the genuinely independent rent reviews which Labour and campaigners have been calling for. Specifically, it is hard to see what the parallel rent assessments will actually deliver. Labour will work to ensure the Code has sufficient teeth to ensure it makes a genuine difference for publicans. Please call 020 7219 2320 for further information and comment. Lots of local jobs in our town rely on Europe. Yet all of us know Europe needs to change. That’s why as the local MP for Chesterfield, I want Europe to work better for Britain. Unlike the Tories, Labour has an agenda for reform in Europe, not exit from Europe. Earlier this year Ed Miliband has set out the reforms that a Labour government would be pushing for from day one in Government. First, we want a Europe of growth and jobs, not a Europe of austerity and unemployment. Labour would work with British businesses – through the CBI – to secure new opportunities for British exporters. That would boost the UK economy in the years ahead, and create new jobs. Second, Labour will work to reform the rules that allow citizens of new member states being able to come and work here in the UK. EU citizens who come to work here in Britain should contribute to our society as well as our economy. That is why Labour would double the length of time before an EU citizen would be eligible for Job Seekers Allowance, and work to make it easier to automatically deport someone who commits a crime shortly after they arrive in this country. Labour has also announced that we will take action to ensure the minimum wage is properly enforced, close loopholes in rules for agency workers, and look at EU directives designed to prevent undercutting and a race to the bottom. Further, Ed Miliband has also announced that the next Labour government will legislate for a lock that ensures in the future, no major transfer of powers can happen without the public’s consent. This would not just be a referendum to ratify a decision on powers – instead it would be an in/out referendum, with a clear choice for the public to make on our membership of the EU. It is bad for Britain that David Cameron seems to be spending more time negotiating with his backbenchers than negotiating with other European leaders. His weakness in the Tory Party means David Cameron has been forced into saying that in 24 months he is going to try and convince 27 other countries to support a fundamental redesign of Europe that none of them support. David Cameron just can’t be trusted on Europe: he can’t tell us what he is negotiating for, he has no strategy for achieving change and he can’t tell us whether he will vote yes or no. Businesses—from the CBI to Nissan to DHL—are worried about the country drifting to exit. That is the danger of where the Tory party is heading. So it is clear that the dividing line on the EU is not simply status quo vs change. The choice in 2015 is between a Conservative Party fast unravelling over Europe, and a Labour Party united in working to make the EU work better for Britain.